If you are tired of Salon Searching, then you probably have been disappointed more times than you can count. So why should you chose us? Really, what is the big deal? Because we actually can give you an amazing haircut! Here is why: 97% of other stylists that have been taught to use the uneven and unpredictable muscles of the face and neck as a measurement for your haircut. Have you noticed that one eye or ear is lower than the other? This type of measurement typically leaves your hair crooked and sometimes full of uneven holes. You may not readily notice it, but you can usually tell if it takes you longer than 15 minutes to fix your hair in the mornings. We use a different advanced hair cutting method. The seceret is in the even and balanced bones of your skull, not your muscles. Do You Want Just a Trim, or a Real Transformation? If you are looking for just a trim, then consider your real reasons for searching for a top salon or stylist because there is a hair place around every corner that can do "a trim." However, if you want a real change, a real transformation, or having the choice of working with two of the best stylists in San Antonio, then book with us today.﻿ The reason we say what we say about "just a trim" is because we take your whole lifestyle into consideration when we work with your hair. We are here to be your stylist for life and build a relationship of total trust that goes both ways. One of the most difficult hair types to manage is curly hair. In fact, in many cosmetology schools, the line of thought is﻿, "Don't worry if you make a mistake when cutting curly hair because no one will notice." This line of thought is rampant amongst the industry. The truth is that those mistakes are noticeable. Another horrible mistake is when a stylist uses a razor cut or thinning shears on curly hair. This is a huge NO NO! See the link below to learn more about curly hair management. Day after day, first-time guests have come to us thankful that we are experts with curly hair. Yes! You will be happy to know that curly hair is one of our specialties. The difference once again is the specialized and highly skilled method of cutting. But don't take our word for it, come give us the opportunity to make us your stylists for life. Top 5 things you should avoid at all cost when getting a haircut for curly hair! 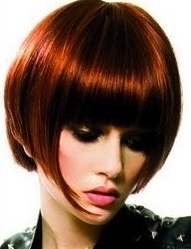 Only the best, hand-selected hair products are used and offered at Bella Hair Designs. We feature a short list of products that are hand picked, some because of their natural properties, others for their scalp cleansing ability. We even offer selected SULFATE FREE products. So, whether you need shampoos, conditioners, gels, or sprays, we carry the best. During your consultation, feel free to engage your stylists with questions about what products you may need to help with all issues from replenishing thinning hair to a full recovery for an unhealthy scalp. Note: We are one of the few studios in San Antonio designated as a "SURFACE CULTURE SALON." Surface was featured as the product of choice for this year's Acadamy Awards. Below is Surface in the news. "Isabel is so gifted! I have curly hair and in the past have always had it chopped, destoyed, and ruined because no one could handle my curls. Then I had Isabel do my hair. What a miracle worker. I will never go to anyone else again." - Anna C.
"My husband absolutely loves my hair. Everywhere I go I get compliments. I never had that type of response until [Isabel] got a hold of me."